Still waiting for that new iPhone 5 to arrive? Or maybe you’ve already snagged one. Either way, you’re going to want to protect it and show off your new phone at the same time. You can easily do both with this super cool iPhone 5 case. 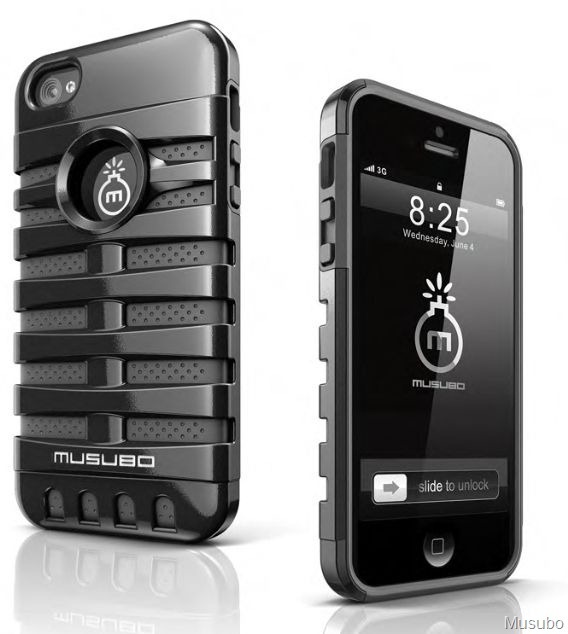 From Musubo comes the Retro case that takes the iPhone 5 back in time to the 1950s with its classic vintage mic design. The case, which offers color choices that include black, silver, red and white, features two layers of protection with a tough polycarbonate shell and cushioned interior. While the Retro case gives you access to all ports and buttons on the iPhone 5, it also includes a folding video stand. Priced at $34.99, the Musubo Retro for iPhone 5 will be available in October through amazon.com. Not available yet. Can’t find it I called Musubo mfg and they said it won’t be released until November and Amazon has the case but its NOT like this one it looks total different. The Musubo Retro you see on Amazon is the model that fits the iPhone 4/4S. The one for iPhone 5 was scheduled to be available in October, but with electronics and accessories coming out fast and furious, it’s not unusual to see delays. Look at the iPhone 5 itself. Thank you for reading!